It should be a regular practice of home owners to test and maintain the locks around their home. Locks should be cleaned and lubricated annually or else it has to be replaced if lubrication will no longer work because of wear and tear. If your locks are properly installed and lubricated, then they should be relatively maintenance free. If you have a squeaky lock which does not turn freely, it should be lubricated with a quality synthetic lubricant containing PTFE. However, choosing a lubricant should be done with care. There are many lubricants that contain solvents that cake up and attract dust and dirt that binds us the mechanisms. There are other lubricants that leave oily films or contain graphite powder which is really messy and attract dirt and dust. Before lubricating, the lock has to be cleaned thoroughly. If you are not certain of what type of lubricant to use, you can contact the lock manufacturer to find out what he recommends. You also need to know the difference between a WD 40 lubricant and a penetrate. When a lock is properly lubricated, a protective film acts as a barrier between moving parts to reduce friction, heat, and wear. Penetrates, however, contain a large amount of solvents which enable them to cut through oxidation to loosen rusted metal parts. Penetrates are used for freeing rusted bolts and screws but do not work well for lubrication. These cannot be interchanged. In other words, lubricants are not good penetrates, and penetrates don't lubricate. Outdoor locks are subject to different types of weather and environmental factors. Locks should be lubricated properly so that problems with excessive heat and humidity, or freezing temperatures, will be avoided. The best lubricants contain corrosion inhibitors while it also helps to repel dust. It will not evaporate when the temperature is high and in winter, it will keep the lock from freezing. If you have outdoor locks, then you should maintain them every six months so you can be sure that they will not give you trouble at the wrong time. And if you regularly maintain not only your outdoor locks, but indoor locks as well, then you can have the added benefit of extending their lives and decreasing downtime. 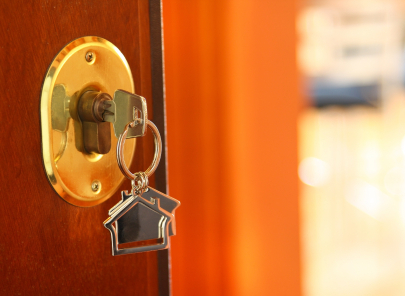 Locks are devices that most home owners take for granted. It usually is unnoticed until the time when they have difficulty turning the keys. Don't wait for this to happen, buy the best locks lubricant for your locks and maintain them regularly. This will ensure the long life and service of your locks. Want to loosen up a tight lock? Head over to http://www.ehow.com/how_8313164_loosen-up-tight-lock.html for information.